Team USA beat Uganda by 13 runs to relegate the Cricket Cranes. Alvin Bagaya. CRICKET. That the Cricket Cranes were under pressure going into the fifth game of the round robin at the ICC World Cricket League on Monday was understandable. But how they tamely fell to a USA side that appeared devoid of ideas in their innings will haunt the team forever. You are simply not good enough when you can’t chase a sub 150. And the Cricket Cranes were just that. Abysmal wouldn’t be too harsh a description of a side that has been relegated largely for their own shortcomings. Captain Karashani won the toss and elected to field. USA began cautiously but the attacking Steven Taylor 8(8) was caught by Karashani off the bowling of Nsubuga and danger man Ibrahim Khaleel 7(32) took his time to get off the mark but went early stumped by reserve player and wicket keeper Naeem Bardai who came into the side after Lawrence Ssematimba’s groin injury worsened in the Malaysia game. It was left to Sagar Patel 33(85) to martial the innings to a respectable score. He put on 20 for the third wicket with Alex Amsterdam 12(23) before the latter was caught at mid-wicket by Karashani off the bowling of Mohammad Irfan after the pressure had began to build. With Uganda’s field placing proving impeccable and suffocating USA strike rotation, it all looked like a good day at Entebbe Cricket Oval. Karashani then trapped Camilus Alexander LBW and Naeem’s first game of the tournament was only getting better; stumping USA mainstay Sagar Patel and catching Mrunal Patel off Irfan. USA’s middle order collapsed under the intense pressure with tight lines and sharp fielding from the Cranes. Karashani literally took the game in his hands, catching Thimil Patel 11(33) off his own bowling but number 10 batsman Elmore Hutchinson dug in to give USA some home with a patient half century, scoring three 4s and three sixes to take his side to 145 with a 41-run 10th wicket stand with Noshtush Kenjige. Uganda lost their openers in the pre-lunch session but returned with a strong approach when Naeem Bardai 32(57) was forced to drop anchor in the run chase. He proved himself a useful addition steadily rebuilding with Roger Mukasa 14(18) with 30 for the third wicket. The introduction of Nosthush Kenjige sent Uganda into a state of panic when he picked two wickets in on the prowl (Bardai and Mukasa) before Taylor returned to pick Ukani Shehzad 15(39). With the wickets, Uganda middle order glue and from then on the threads came off the seam as the innings fell apart with Taylor picking three more wickets and Jasdeep Singh bowling last man Davis Karashani, who hard grafted with Henry Ssenyondo 4(42). Captain Davis Karashani is adamant they played well in many ways but lost the game in the last two hours due to too many soft dismissals. “We lost wickets and simply never recovered. Too many soft dismissals in the end really. I thought the hunger in the batsmen has not been shown,” Karashani said. 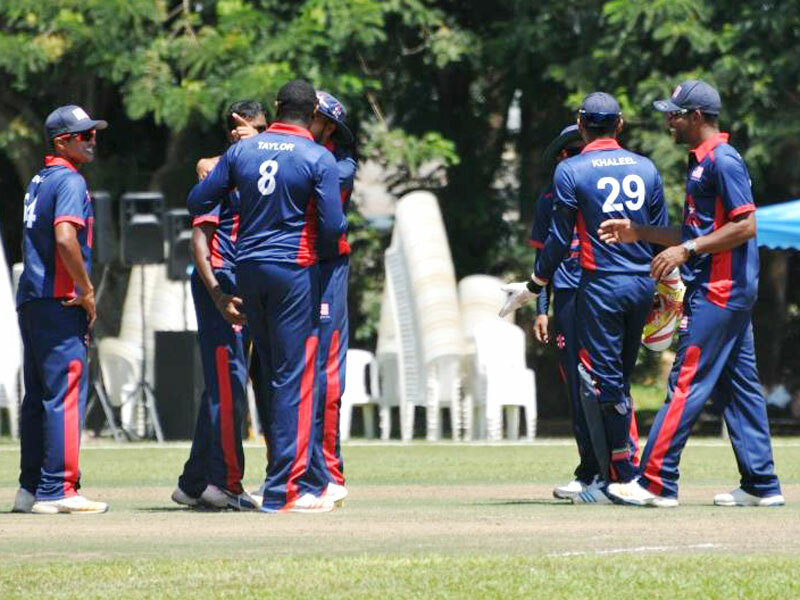 The 13-run victory over the hosts helped USA hold their place in Division III and but there will only be regrets for Cricket Cranes who have to face the lower ranks of Division IV. USA’s Elmore Hutchinson said the highlight for them was when he hit those two sixes at the end of the game. “It changed everything for us, I got a message from the outside to at least hold out to 150, we knew that once we got some early wickets, we had a chance. I am just glad it worked out in the end,” he said. Cricket Cranes coach Steve Tikolo was left crestfallen. “I thought at the end of the innings chasing 145 was achievable but too many soft dismissals from the batters, very disappointing in the end,” he said. But his USA counterpart Pubudu Dassanayake credited his players with the hard work that reaped the fruits. “It is all about working hard with the boys, making them believe they belong in the higher divisions. We have a lot of work to do but I am disappointed that we could not go through to Division II,” Dassanayake said.